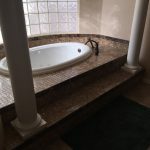 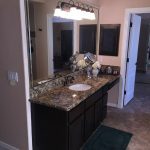 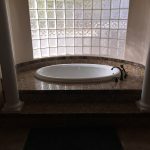 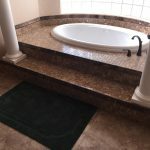 Fountain Hills Arizona Master Bathroom and Tub Remodeling Project | Roadrunner Custom Remodeling, Inc. 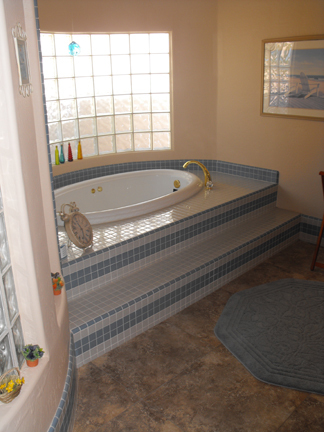 This Fountain Hills Master Bathroom and Shower / Tub remodeling project had more than a few challenges. 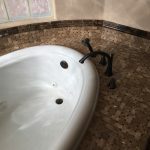 The old finish was all small ceramic tile and a very difficult to remove. 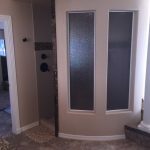 The columns were custom made back east and the first pair arrived smashed (ouch). 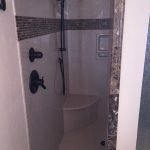 The shower was finished with solid surface, the tub area in tile, the cabinets were re-finished and the tops are stone. 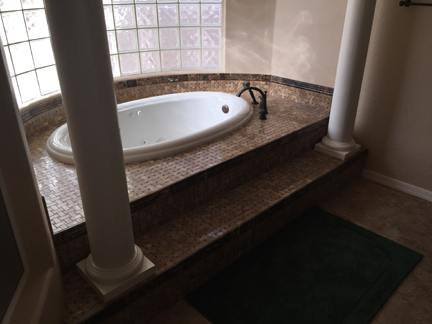 As you can see it turned out beautifully!